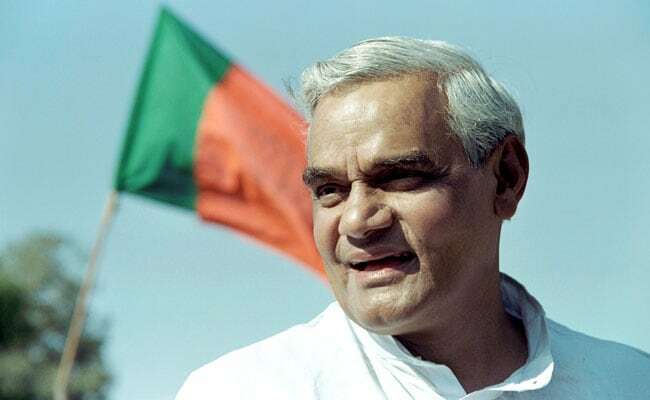 General Elections 2019: Former Prime Minister Atal Bihari Vajpayee's nephew said this is the first election that BJP is fighting after his death and his absence is being felt by all. General Elections: Former Prime Minister Atal Bihari Vajpayee died last year after long illness. Former Prime Minister Atal Bihari Vajpayee's ancestral village in Uttar Pradesh is missing its favourite leader this Lok Sabha election season. This is the first time the villagers of Bateshwar will vote in the general election after Mr Vajpayee's death last year. The villagers fondly remember him and believe that it is "near impossible" for any leader to reach his stature. "This is the first election that BJP is fighting after his death and his absence is being felt by all. Without him, the election campaign is not the same," Mr Vajpayee's nephew Rakesh Vajpayee told news agency ANI. "Every party today is deviating from its principles. Objectionable language is being used in the elections. When Vajpayee ji was in politics such bad language was never used. All parties must introspect before using foul language in public discourse", he added. Prem, one of the villagers, said that his presence would have worked as a catalyst for the village's development. "If he was there, our village would have been developing at a better pace. His absence is surely felt. If he was alive we would have seen more development at our village." Another villager Jitendra Kumar said, "It is not possible for anyone to take his position. I believe that the party is still following his principles." Mr Vajpayee, a towering BJP leader, was the Prime Minister thrice - first for 13 days in 1996, then for 13 months from 1998 to 1999, and then from 1999 to 2004.